The genesis of my love of reading is a layered and cherished story. My love of reading comes from my family. My brothers, Leo and Kevin, began my relationship with books. My brother Leo would read stories from our encyclopedia called "My Book House". It wasn't every night, it was every once and a while. I miss my brother, his legacy of the pictures he helped paint in my imagination will last an eternity. My brother Kevin used to send me to the corner story to get sunflower seeds for him and penny candy for me on his pay day. He would try to teach me to play chess, I was quite young, and he talked to me about the books he loved. I learned about "Newspeak" and "Oceania" and, in the process, learned that books had power! My love of Sci Fi was born here. 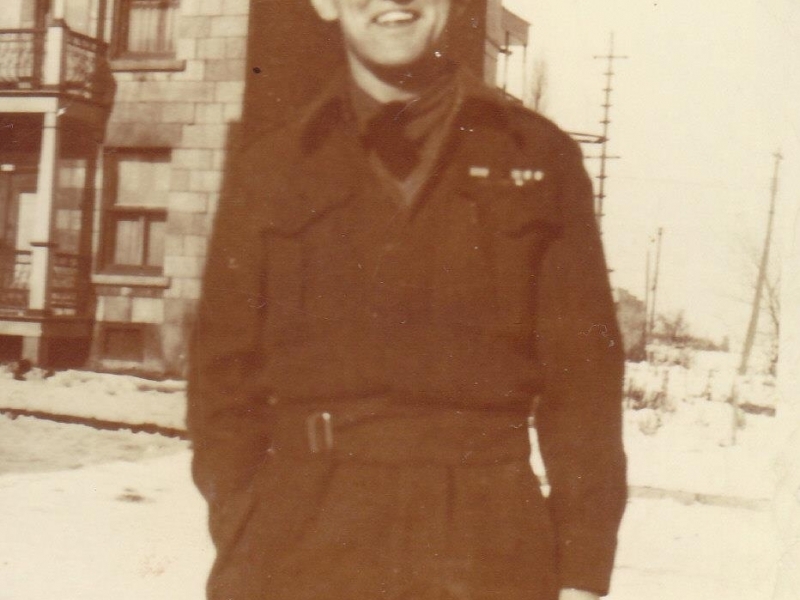 My dad did not have the chance to continue in school as much as he would have liked to, it was the depression he had to work to help support his family and later added his support to countless faces by fighting in World War II. have many memories of my dad sitting at the kitchen table and always books. Fiction, non -fiction, it didn't matter. He spent many hours learning about the war he fought in, shedding light on what he understood about a conflict he rarely spoke of. I have included his photo becauese, well, we all began with him. Reading is a relationship. My story is of the men who influenced me and loved me leading me to a legacy of literacy.